FlatRedBall and Glue support game development on Android devices. This section will show you how to make FlatRedBall Android games. FlatRedBall Android game development requires a Windows PC and Glue just like regular PC game development. 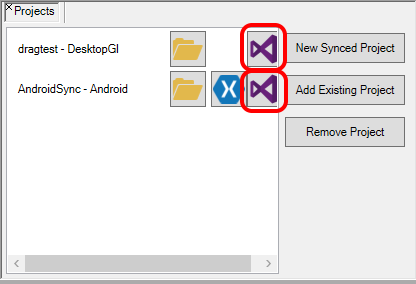 Visual Studio is necessary if you plan on creating PC/Android synced projects. Since FlatRedBall requires using the C# programming language, FlatRedBall Android development requires using the Xamarin compiler, which is freely available when installing Visual Studio. Glue supports creating a primary Android project as well as a synced Android project. A primary Android project refers to a situation where a single solution file (.sln) is created. This solution file can be opened in Xamarin Studio or in Visual Studio. 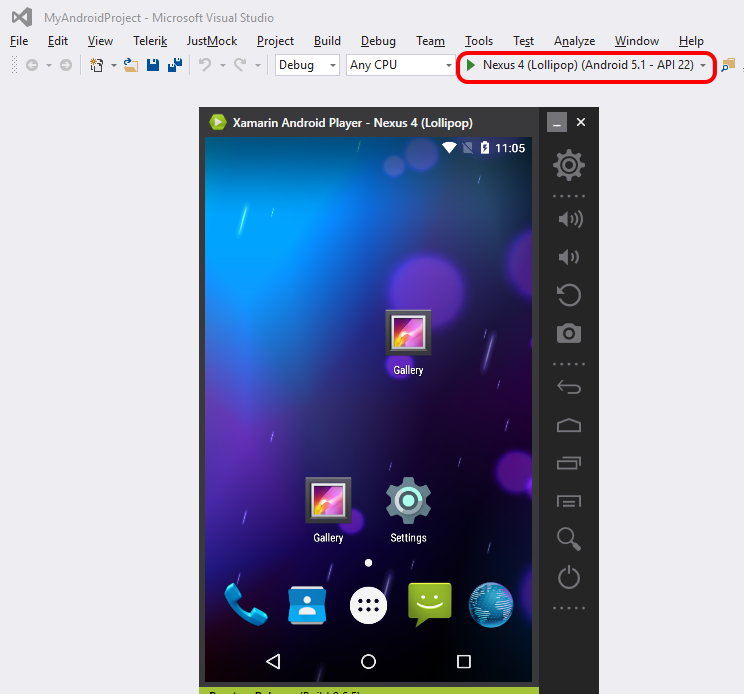 A synced Android project refers to a situation where two solution files are created – one for PC and one for Android. The PC project is developed as a regular FlatRedBall PC (desktop) project in Visual Studio. Glue will generate Android project, and it will keep it in sync with the PC project automatically. Improved iteration speed through edit-and-continue and automatic content reloading at runtime. For more information on Glue synced projects, see the Glue synced project page. 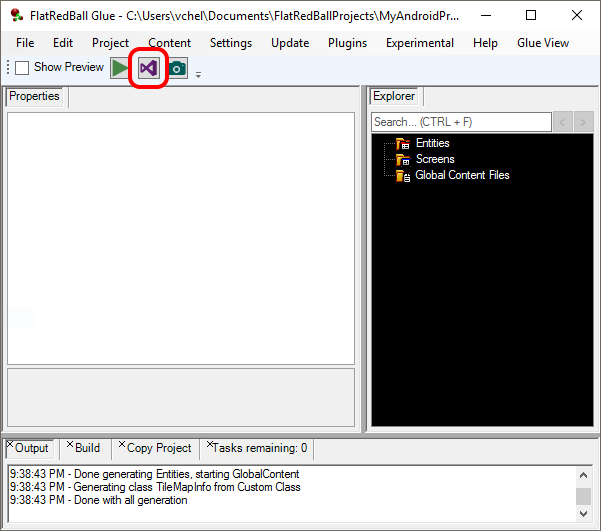 Now that the project is in Visual Studio, you can develop an Android game the same as if you were making a PC game, including using Glue. Verify that the Play button in Visual Studio has the desired emulator selected. Note that if a physical Android device is connected to your computer and is set up for debugging, then Visual Studio will detect it as a deployment option. The project will take a moment to download and be created, but once it is, you will see the Android project listed in the Androids project list. Since your Glue project now has multiple platforms, you can choose which project to open through the Projects tab. Unfortunately deploying to Android can be fickle at times, and sometimes no errors are provided. Have you tried creating a Xamarin Forms project? Xamarin Forms projects can be created with templates which are maintained by Xamarin, so they are likely to eliminate common problems in template setup. If a Xamarin Forms project doesn’t work, then that might mean that prerequisites are not properly installed.